Elegant Jewellery Studio based its humble beginning on the passion of its Founder, Ms. Angie Ng. Angie is very passionate about jewellery making and designing. She has travelled all over the world to learn from top notch designers, she has sourced for materials from the most common of pearls to Mexican opals and black diamonds – the most expensive of its kind, and she is highly regarded by many as one of the experts in the industry. Today, EJS’ mission is to cultivate the thought and habit of its friends and fans all things handmade. Its vision is to inspire everyone that crosses its path to jewellery making as their favourite pastime which is fun and relaxing. 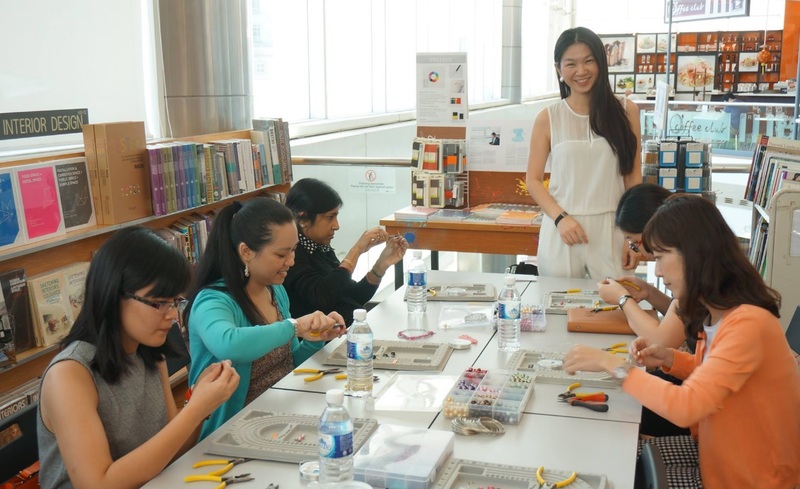 EJS offers various levels of jewellery making and designing courses, from beginners to professionals, for amateurs and hobbyists, children and adults.